A poem in 2018 can take the form of words bathed in the blue light of a computer screen, or can exist on typewriter paper as each new line is slung into place. Since the advent of the internet, Chicago’s poetry has developed and been interwoven across platforms into homemade zines, local bookstores, tweets, public readings, rap songs, print magazines and books. Now, poets throughout the community are pondering the progress and place of something seemingly intimate and fringe, but with growing interconnectivity and a history rooted in the city’s heart. In Chicago, poetry can be found in the most obvious and equally unlikely of places — within the lobby of the Harold Washington Library, in DePaul’s Student Center, off the Division Blue Line stop and even inside a CTA train, where commuters can find the Carl Sandburg poem “Chicago” on an advertisement. Sandburg’s “Chicago” was first published in the March 1914 issue of Poetry magazine, a Chicago publication only two years in circulation at the time. Poetry was founded by Harriet Monroe in Chicago with a beckoning “open door” policy and developed into one of the city’s and nation’s longest running poetry publications, giving readers access to poems by T.S. Eliot, Gwendolyn Brooks, Robert Frost, Langston Hughes and many others. “In 105 years, we’ve never missed an issue,” said Don Share, editor of Poetry. When Share was 16, he watched Allen Ginsberg perform some of his beat poems, including “Howl.” An awestruck Share talked to Ginsberg after the performance and was invited to the poet’s New York apartment. Though he never followed through on the invitation, Share became a poetry fan and developed his own taste. After being the editor of Poetry since October 2013 and an editorial team member since 2007, Share said that Chicago’s poetry community is enduring through technology. The Poetry Foundation allows users to keep up with the arts by subscribing to daily emails concerning local events and daily poems. Poetry has a circulation of around 30,000 copies per monthly issue, but the magazine still receives 130,000 to 150,000 submissions each year. Like Don Share, poet José Olivarez was exposed to poetry in his teenage years. Olivarez was raised by Mexican parents in Calumet City and was an avid reader, but he did not think he could become a professional writer. Olivarez graduated from Harvard University, returned to Chicagoland and now works for Young Chicago Authors, a workshop-based incubator for young poets in Chicago, where he is the marketing manager. These collaborations are fluid and can form a concoction of cultural art at events. “It’s not odd to hear poetry before a rap concert or at an art gallery or before a play,” said Olivarez. 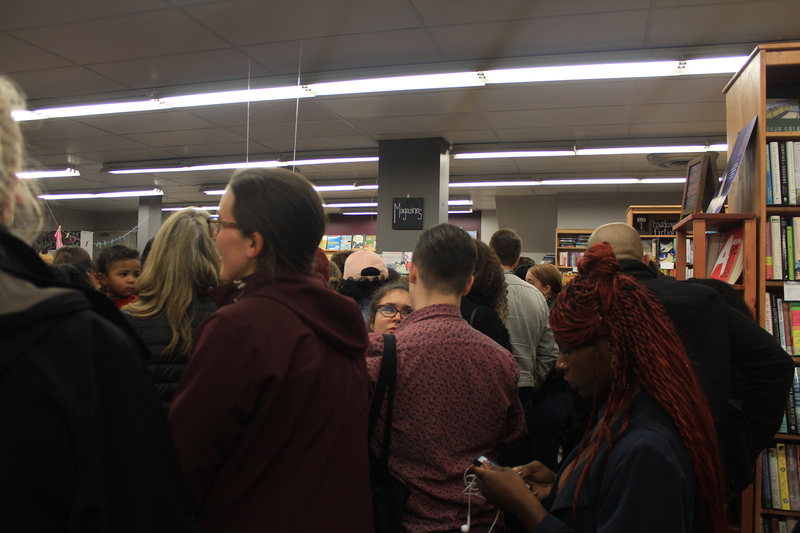 Poetry events that are often held in bookstores or cafés can draw large crowds, poetry enthusiasts, or casual poetry consumers. Megan Harris, a political science student at DePaul and D.C. area native, only began to share her poetry recently in college. Harris first read her work at a reading that Young Chicago Authors founder Kevin Coval led at DePaul in October. “I had never read or shared my work with anyone until Kevin said I was going to,” she said. Harris met Coval last fall when she mentored a DePaul Explore Chicago class, which DePaul first year students take during their first quarter to become acquainted with the city and aspects of its culture. Harris’ class was about grassroots spoken word movements. “[The professor] took us to YCA off the [Division] stop on the Blue Line, and we went to their open mic night that they have every Tuesday night,” Harris said. Harris and her class workshopped poems about their hometowns with Olivarez, and Coval dropped by to hear the new verses. Coval contacted the professor a few weeks later when organizing the reading at DePaul to get Harris to read her poem about growing up in the D.C. area. The experience helped Harris feel more confident in her own work as well as recognize common threads with other poets. Poetry in Chicago is still growing, but many community members want it to become even more inclusive and reach people who would not normally be interested in poetry. Kathleen Rooney, a senior lecturer in DePaul’s English Department, has written and published books in multiple genres and is the co-founder of literary non-profit Rose Metal Press. Though she grew up in Woodridge, she always longed for city life. 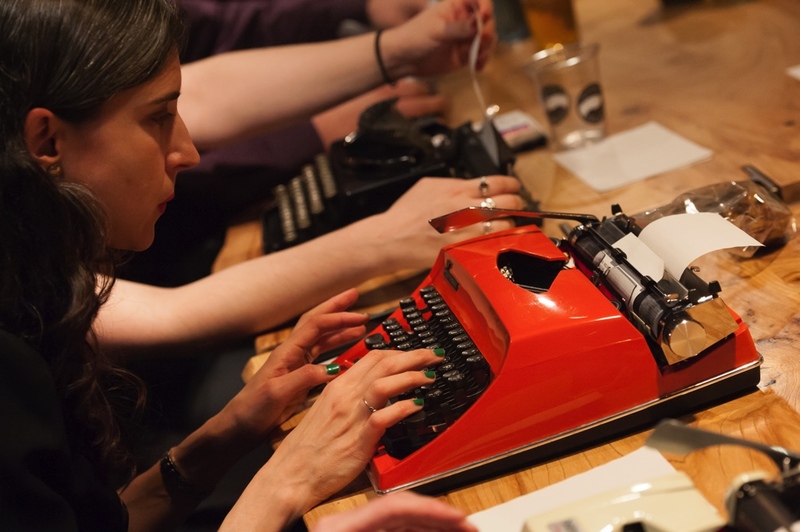 People can come up to the typewriter poets with a suggested topic at events like the Randolph Street Market and receive a personalized poem for five dollars if they can wait for 10 minutes while the poets write. “We’ve gone from two poets and one janky dumpster typewriter to roughly 20 to 25 poets and we do one to two events every month all over the city,” said Rooney. Rivka Yeker, barista at Volumes Bookscafe in Wicker Park and co-founder of Hooligan Magazine, had a similar perspective. “I’m trying to make it more accessible, more inviting, less intimidating, and more collaborative and inclusive,” said Yeker. For some, poetry is simply a type of expression to play around with and use to connect to others. 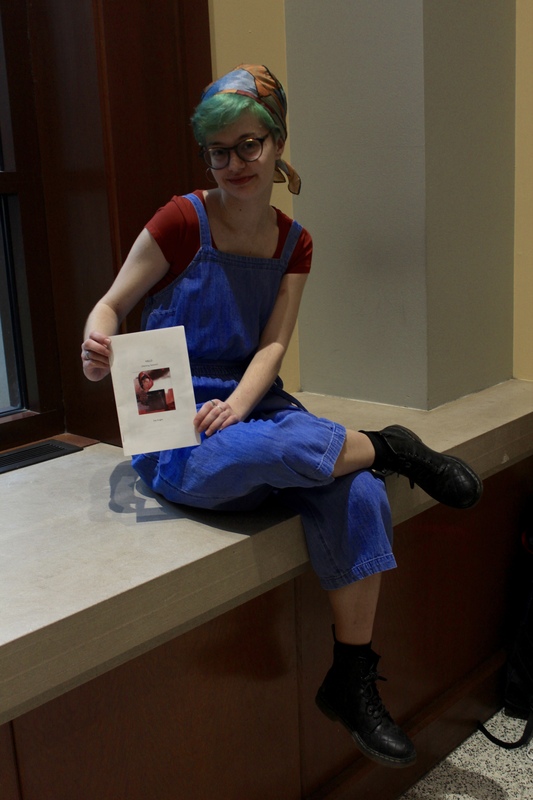 Zoe Knight, DePaul sophomore and creator of the zine “Melting Season,” was inspired to make her zine after reading her friends’ creative works. At the heart of the Chicago poetry community, poets react and respond to the world in verse. Some value physical mediums, others care about online connections, but all agree that poetry’s inherent purpose is expression.